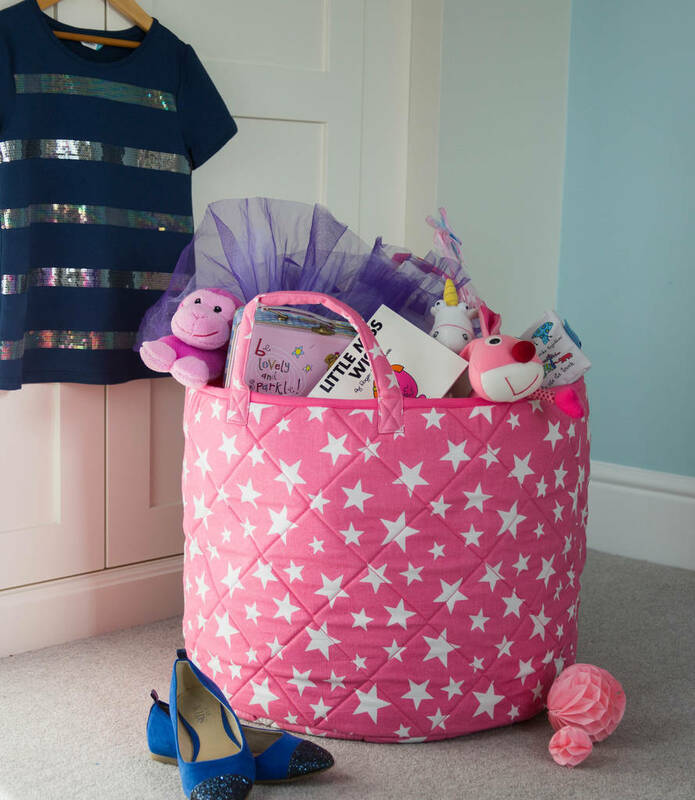 These children's toy storage baskets make a lovely gift. To make the toy basket extra special it can be personalised with your own name or phrase. The phrase will be beautifully embroidered onto one side of the toy basket for example Darcy's Teddies, Darcy, Emily's Bits 'n' Bobs or any other wording of your choice. As standard the personalisation will be grey cotton (on the red star), red (on the blue star) and pink (on the pink star). Please let us know if you would like a different cotton colour for the embroidery. 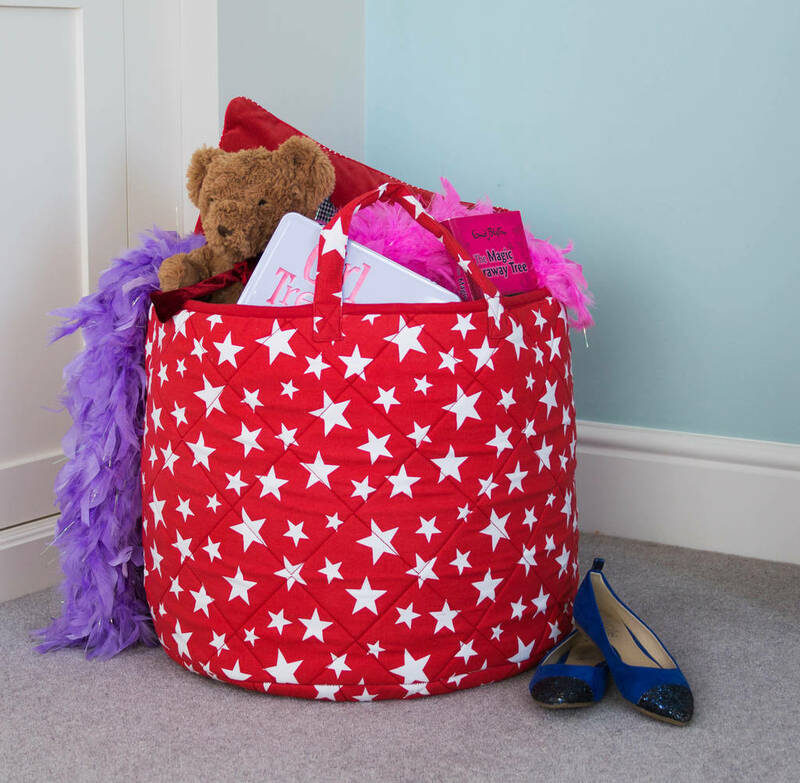 These quilted, exclusive star design, toy storage baskets are large enough to keep things tidy and clutter free and look stylish in nurseries, bedrooms or playrooms. 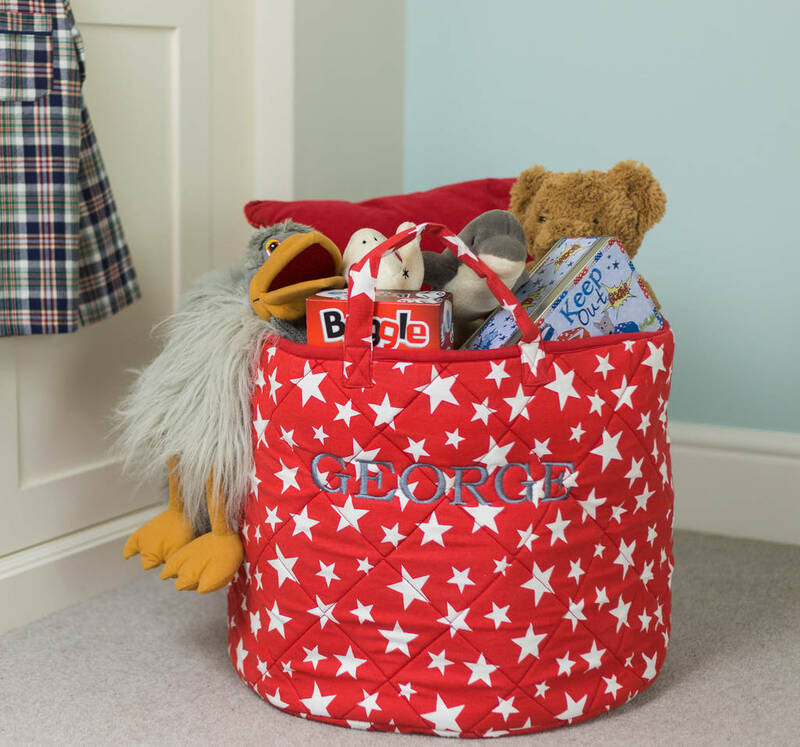 With no hard edges, the soft toy storage baskets are perfect for storing baby blankets, muslins, toys, cuddly toys and other bits 'n' bobs in a nursery, bedroom or playroom. Keep those spring essentials close to hand and use it to store hats, gloves, scarfs, coats or extra blankets in case they are needed on those fresh outings. The toy baskets have 2 strong handles for easy transportation. A striking star fabric design on the outside and a plain fabric inside means they will co-ordinate with any home and are suitable for any age. The quilting gives the storage bags a beautiful premium feel. 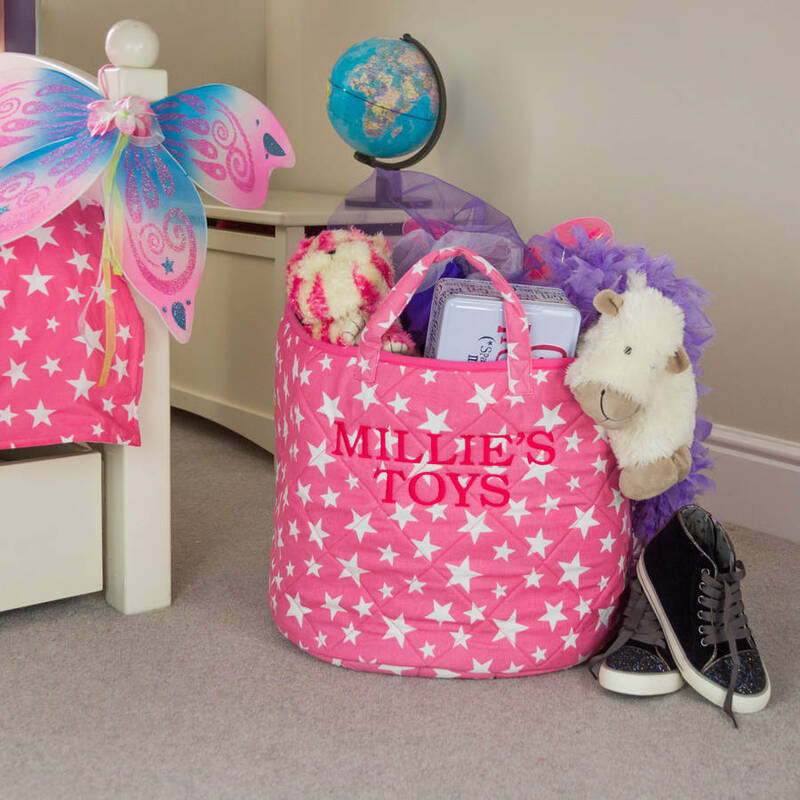 Available in Pink, Red and Blue Star, a range of gingham colours and we also have a pink multi-striped fabric in the range (please see seller's full range). Our toy baskets make lovely new born, Christening or birthday gifts. This product is dispatched to you by Kiddiewinkles.